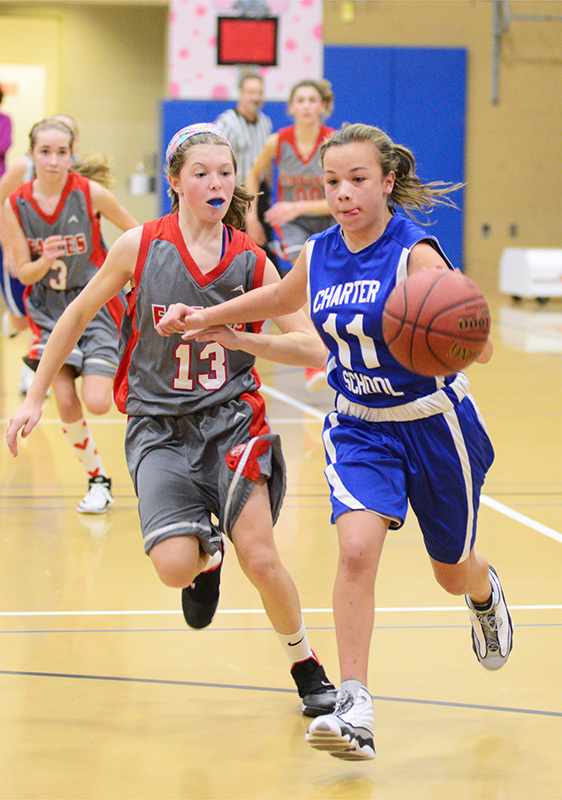 Eagles soar past Chargers in girls opener. 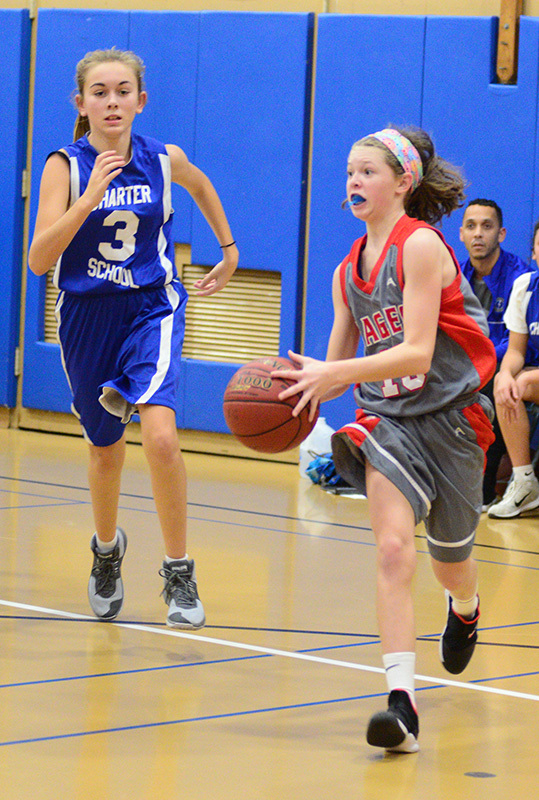 The Island middle school hoops season tipped off Tuesday afternoon at the Edgartown School with a girls matchup between the defending champion Charter School Chargers and the host Edgartown Eagles. Edgartown used a patient perimeter passing game, aggressive play on the boards, and a stifling defense to build a double-digit halftime lead, and held off a Charter charge in the second half to post a 28-20 win. Both teams struggled to find the hoop in the first six minutes. Edgartown’s Brooke Ward scored the first four points of the game, and Olive McPhail sank a jumper for what would be the Chargers’ only basket of the first half. From there, the Eagles dominated the glass at both ends of the court, and closed out the first half on a 12-0 run to lead 16-2 at the break, with Talia Estrella scoring three baskets, Paige Anderson adding two more, and Ward chipping in another on a put-back. Edgartown scored the first basket of the second half with play that perfectly summed up its approach. The Eagles made a half-dozen passes around the three-point line with fluid precision and found Anderson, who swooshed in a jumper from the top of the key for an 18-2 lead. 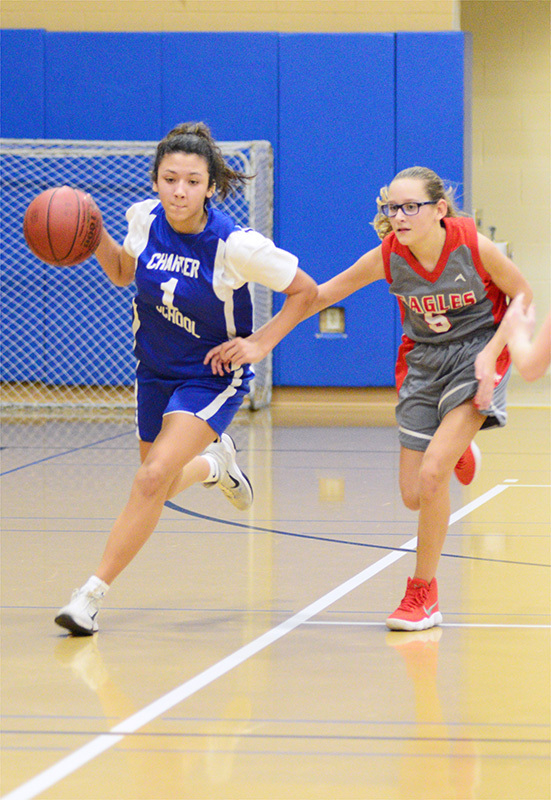 Undaunted, the Chargers responded with their best stretch of the game, forging a 6-0 mini-run over the next three minutes with tenacious rebounding. 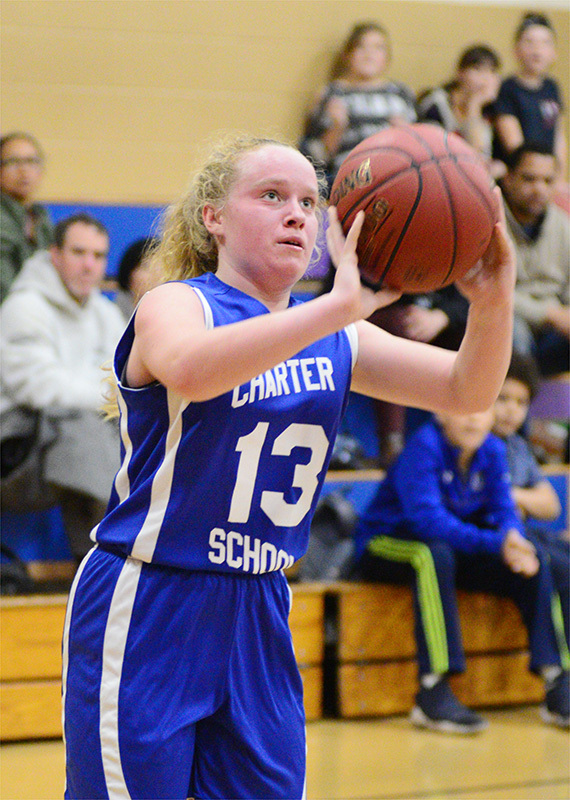 Maria Andrade scored five points, and Ella Luening added another point from the free-throw line to cut the Edgartown lead to 18-8. 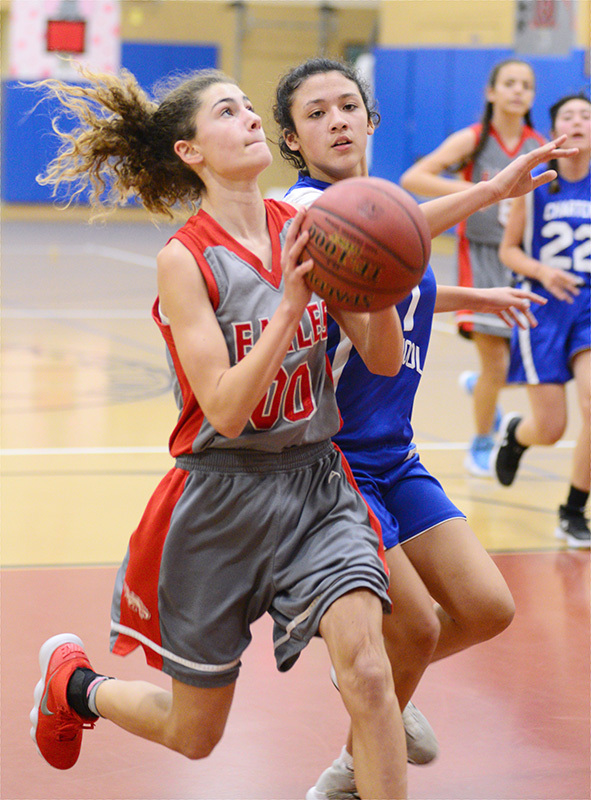 Clarissa Pinto scored to end the Chargers spurt, and the Eagles maintained a 10-point cushion before scoring three straight buckets down the stretch to put the game out of reach. 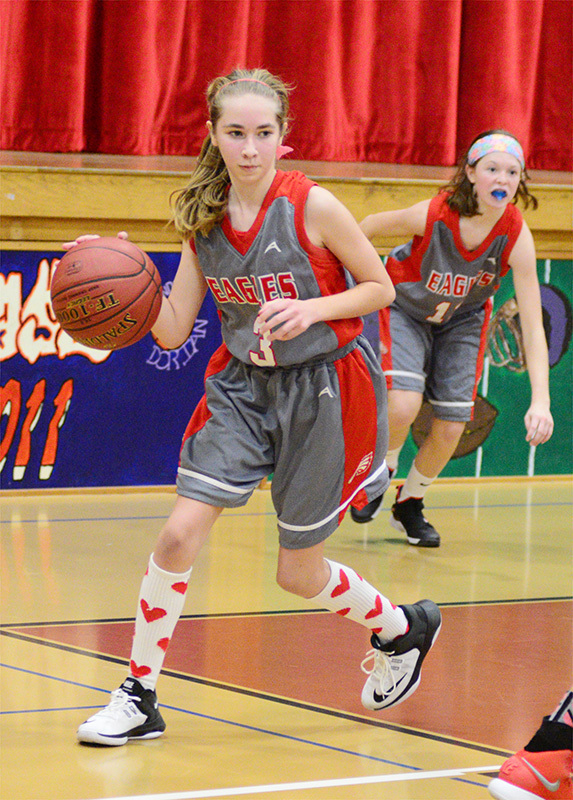 Paige Anderson drained a 10-foot jumper, Brooke Ward put one in from the low post and scored again off a court-length inbound pass as the Eagles matched their biggest lead of the game at 28-12. The Chargers scored the final eight points, and outscored Edgartown 18-12 in the second half, but it wasn’t enough. A lot of basketball remains to be played, however. 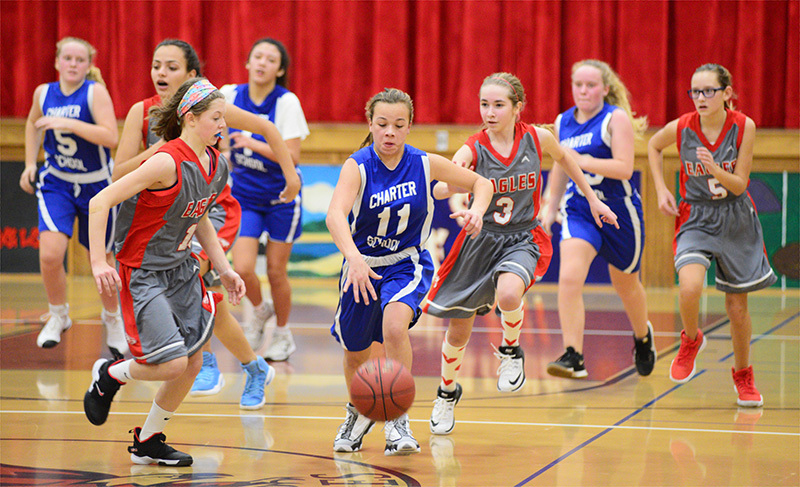 Last season, the Charter girls lost big to crosstown rival West Tisbury in the opening game and went on to win the championship. Brooke Ward led Edgartown with 10 points, Paige Anderson scored eight, and Talia Estrella had six points, with Clarissa Pinto and Jenna Hathaway chipping in two points apiece. 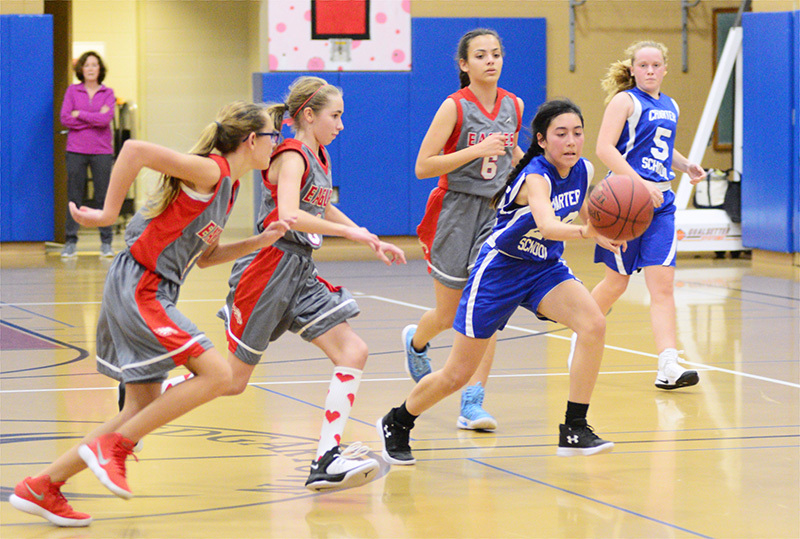 Maria Andrade scored 12 points to pace the Chargers, while Ella Luening and Olive McPhail each had four points.